Intel on Thursday notified its partners and customers that it would be discontinuing its Itanium 9700-series (codenamed Kittson) processors, the last Itanium chips on the market. Under their product discontinuance plan, Intel will cease shipments of Itanium CPUs in mid-2021, or a bit over two years from now. The impact to hardware vendors should be minimal – at this point HP Enterprise is the only company still buying the chips – but it nonetheless marks the end of an era for Intel and their interesting experiment into a non-x86 VLIW-style architecture. 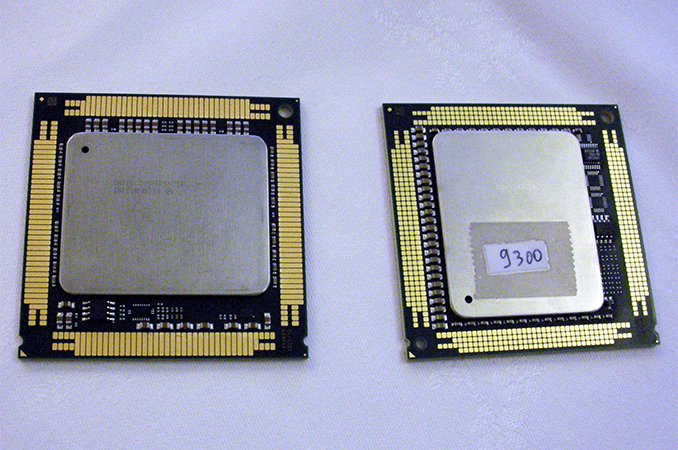 The current-generation octa and quad-core Itanium 9700-series processors were introduced by Intel in 2017, in the process becoming the final processors based on the IA-64 ISA. Kittson for its part was a clockspeed-enhanced version of the Itanium 9500-series ‘Poulson’ microarchitecture launched in 2012, and featured a 12 instructions per cycle issue width, 4-way Hyper-Threading, and multiple RAS capabilities not found on Xeon processors back then. It goes without saying that the writing has been on the wall for Itanium for a while now, and Intel has been preparing for an orderly wind-down for quite some time. At this point, the only systems that actually use Itanium 9700-series CPUs are the HPE Integrity Superdome machines, which are running the HP-UX 11i v3 operating system and launched in mid-2017. So Intel's sole Itanium customer will have to submit their final Itanium orders – as well as orders for Intel’s C112/C114 scalable memory buffers – by January 30, 2020. 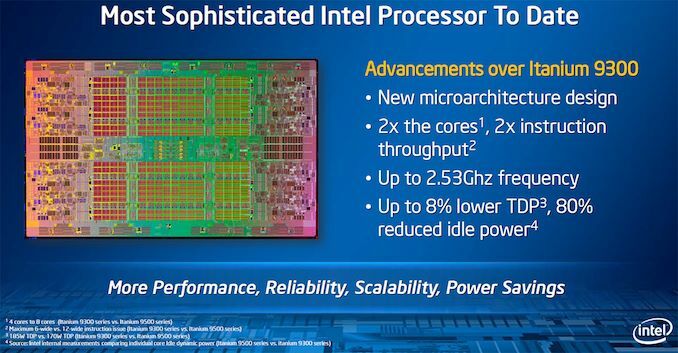 Intel will then ship its last Itanium CPUs by July 29, 2021. HPE for its part will support their systems through at least December 31, 2025, but depending on how much stock HPE wants to keep on hand, they'll presumably stop selling them a few years sooner than that. With the EOL plan for the Itanium 9700-series CPUs in place, it certainly means that this is the end of the road for the whole Itanium project, both for HPE and Intel. The former has been offering Xeon-based NonStop and Integrity servers for years now, whereas the latter effectively ceased development of new CPUs featuring the IA-64 ISA earlier this decade. The machines running these CPUs will of course continue their operations through at least late 2025 (or until HPE drops HP-UX 11i v3) simply because mission-critical systems are bought for the long-haul, but Intel will cease shipments of Itaniums in 2.5 years from now. How do you get a bad hit rate? Did it have a poor eviction policy? Or maybe it tried to do some fancy prefetching that burned through cache too quickly? It was the future of computing, until the future passed it by. Now, it is the past.